Major studies have shown that people who eat nuts appear to suffer fewer deaths from cancer, heart disease, and respiratory disease, and our life span may be increased by an extra two years by eating nuts regularly—one handful (or about a quarter of a cup) five or more days a week. PREDIMED, one of the largest interventional dietary trials ever performed, followed more than seven thousand men and women at high cardiovascular risk randomized into different diet groups. One group received a free half pound of nuts every week for four consecutive years and appeared to cut their stroke risk in half. And, regardless of which group participants were assigned to, those eating more nuts each day had a significantly lower risk of dying prematurely overall. What’s more, the Harvard Nurses’ Health Study found that eating just two handfuls of nuts weekly may extend a woman’s life as much as jogging four hours a week. In my Daily Dozen, I recommend a daily serving of either ¼ cup nuts or seeds, or 2 tablespoons of nut or seed butter. 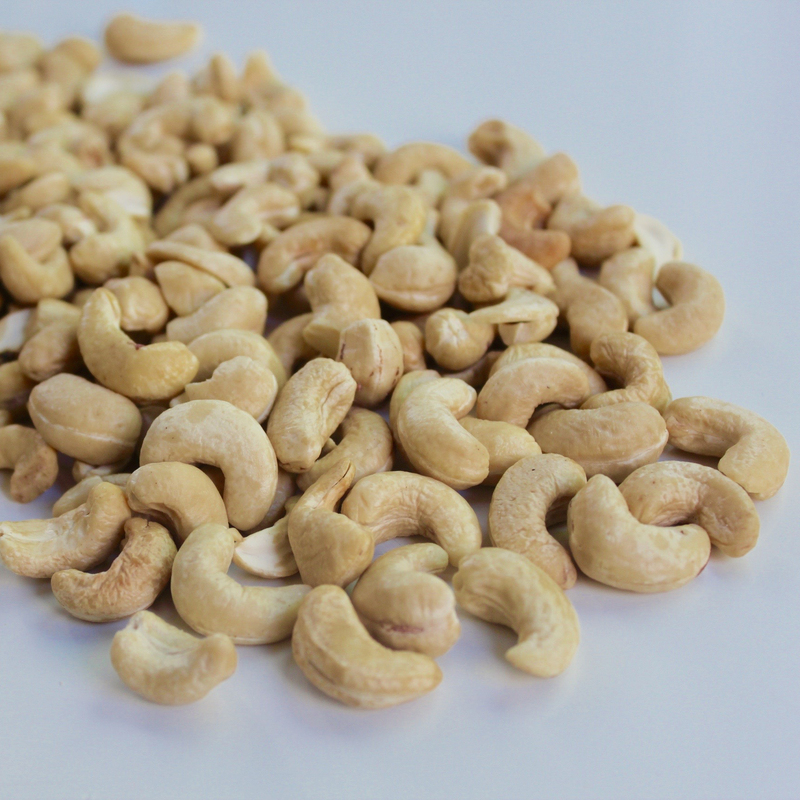 My favorite use for cashews is as a healthy fat source to make rich sauces like cashew Alfredo or, once blended and heated, thick, creamy soup bases. Image Credit: Heather Hammond / Flickr. This image has been modified.